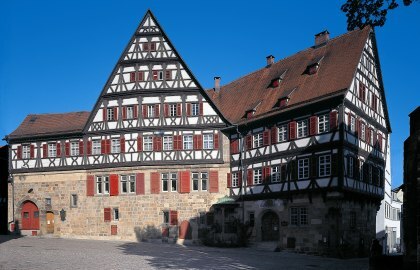 The impressive building complex with its splendid half-timbering served as a tithe house and rectory for the Cathedral Chapter of Speyer from 1213 to 1546. At the beginning of the 19th century the cellars stood empty. That was a stroke of luck for Christian von Kessler, who had previously learned how to make champagne from Widow Cliquot in Reims. After he returned, he found the cellars suitable for his sparkling wine production in the Pfleghof. 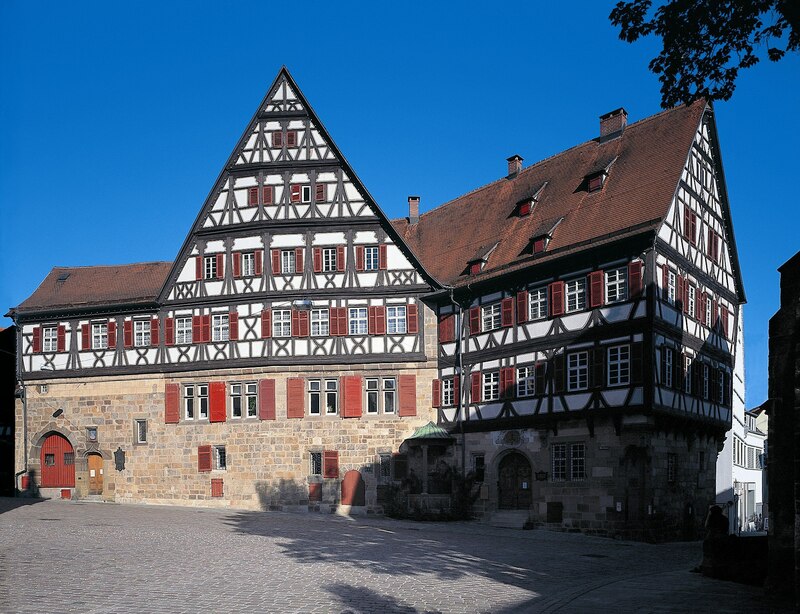 Since the foundation of the Kessler Sektkellerei in 1826, Esslingen has therefore housed the oldest sparkling wine production in Germany! In 1904 the interior of the building was completely remodelled and the current decorative half-timbering added. As of late it is possible to get married in the dignified ambience of the “Belétage” on the upper floor.